As Paul Templer set off to lead a group on a kayaking trip down the Zambezi River, it seemed like just another day’s work. 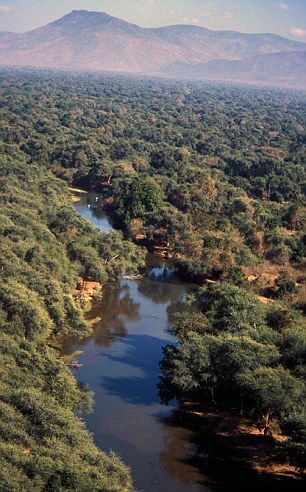 Then 27, Mr Templer was the owner of a river tour business and had been taking people on trips along the stretch of the Zambezi near Victoria Falls in Zimbabwe for many years. But just a few hours later his life would be turned not only upside down, but upside down and head first up to his waist in a hippopotamus’s throat. 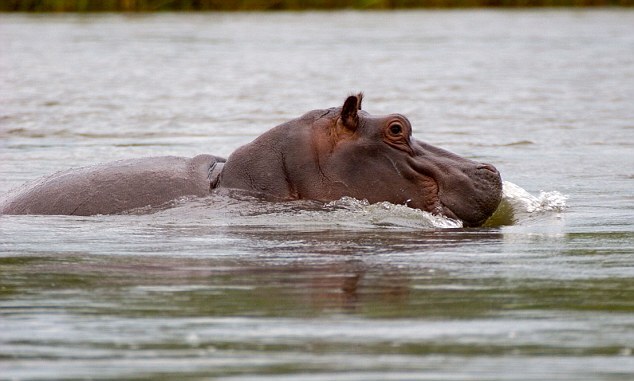 Hippos are often portrayed as docile, friendly creatures who enjoy little more than a good wallow in the mud. But this is far from the truth. 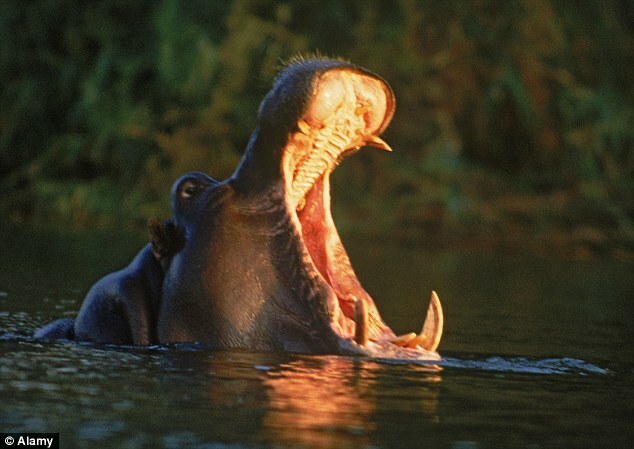 Hippos kill around 300 people a year, making them the third biggest killer of humans after mosquitoes and box jellyfish, despite only living in certain parts of Africa. Their gaping mouths span four feet and are lined with fearsome tusks. On land they can reach speeds of 30 mph, but they are most dangerous in the water, where the male bull hippos can become territorial. Mr Templer, who grew up in what was then Rhodesia before joining the British Army, was well aware of the danger the creatures pose and knew to give them a wide berth. On the day of the attack he was accompanied by three apprentice guides – Mike, Ben and Evans. 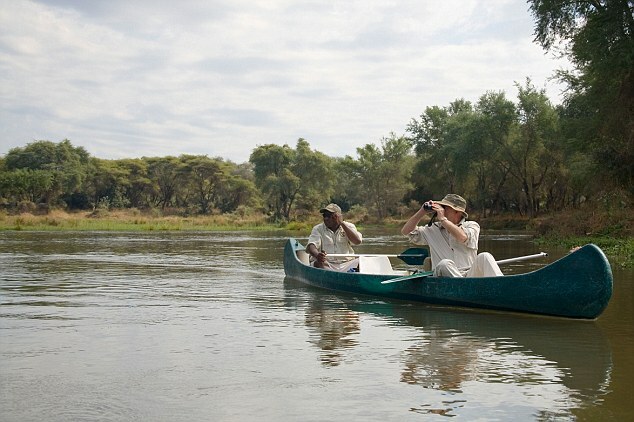 They were all in separate kayaks and approaching the end of the tour when they came across a pod of around a dozen hippos wallowing quietly in the shallows. Mr Templer steered the group away from the danger before pausing a moment for Evans, who had been lagging slightly behind, to catch up. Mr Templer immediately went back to help Evans who reached out his hand but just as he was about to grab hold all hell broke lose. ‘My world went dark and strangely quiet, a few very long seconds ticked by as I tried to figure out what was going on. ‘From my waist up I was not dry but I wasn’t wet either not like my legs were I was head first down my waist down a hippo’s throat. I pushed and I pulled and I wiggled about all to no avail. ‘Then the monster loosened its grip long enough for me to escape. Bursting to the surface I came face to face with Evans. Luckily for Mr Templer, one of the the other apprentice guide, Mike, risked his own life to paddle back and help. Mr Templer was able to grab hold of his Kayak and was hauled to the shore. But he was far from out of danger. ‘I made the mistake of taking a look at myself’, he continues. ‘My one arm from the elbow up had been crushed to a pulp and from the elbow down had been stripped of its flesh. ‘Then a strange thing happened; I went incredibly calm and all the pain went away and I knew that it was my moment of choice. I knew right there and then I could shut my eyes I could drift off, I could call it a day or I could fight my way through this and I could stick around. ‘The choice I made brought with it more pain than I could ever have believed that I could endure. The pain was so intense that I thought for sure I was going to die. Mr Templer had to endure a gruelling eight hour journey to the nearest hospital in the city of Bulawayo. Lying semi-conscious on his hospital bed he recalled hearing the doctors discussing his condition. ‘I could hear them talking, things like “uh, doesn’t look good”‘, he remembers. His left arm had to be amputated above the elbow, but the surgeons had managed to save his injured leg. But the road to recovery would be long. Unable to run his business he was forced to take a desk job something he found deeply depressing. 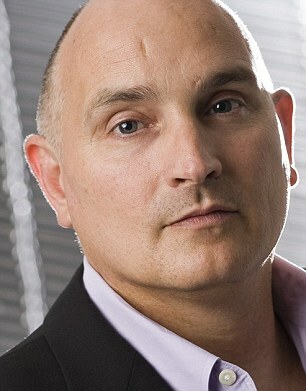 He spiralled into depression and ended up splitting with his partner. But after a few months he decided a life of self pity wasn’t for him and he was going to turn his life around. Just two years after the attack, he was back on the Zambeizi using a specially adapted kayak paddle to lead a three-month long Expedition. Today, he is based in the U.S. where he runs his own speaking and coaching business and is married with three young children.